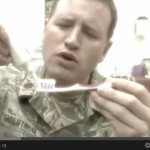 Have you seen the Dental Hero video on youtube? Let us be your “dental hero” and help you with all your dental needs. Teeth cleaning, crowns and dentures, we do it all! Dr. Nichole Martin is located in Lynnwood. Call us to schedule an appointment today.